Learning in reality is rarely completely autonomous and on isolated problems. 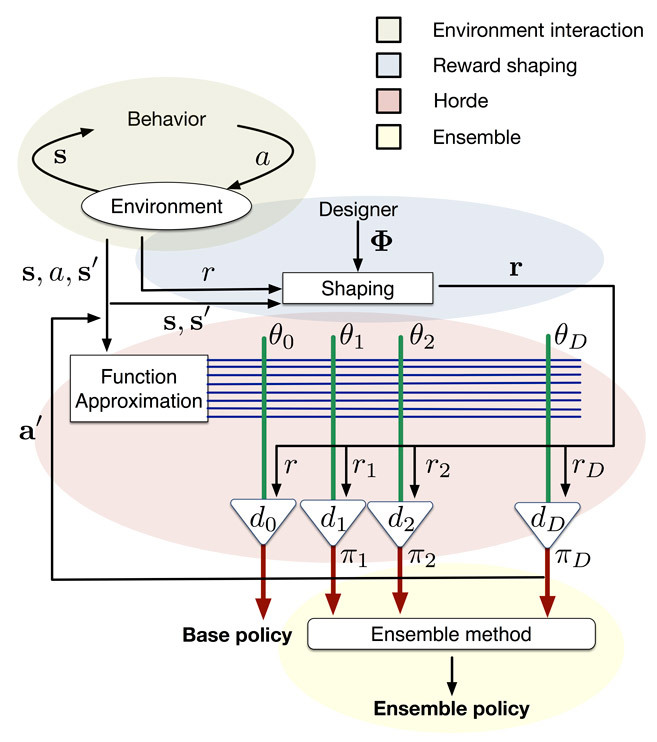 I am interested in several distinct (but complementary) ways of helping reinforcement learning agents to arrive at solutions quicker, by augmenting their problems with extra knowledge (reward shaping), or their solutions with other agents’ solutions (ensemble learning). 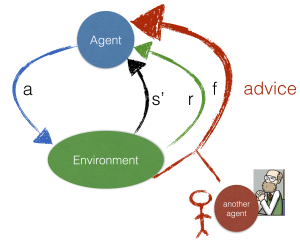 The reinforcement learning framework, augmented by advice. Graphic from my talk at AAAI-15. The Horde of shapings architecture. Graphic from my poster at ECAI-14. In Proceedings of the Twenty-Ninth Conference on Artificial Intelligence (AAAI), pp. 2652-2658, 2015. In Proceedings of the Fourteenth International Conference on Autonomous Agents and Multi-Agent Systems (AAMAS), pp. 1641-1642, 2015. 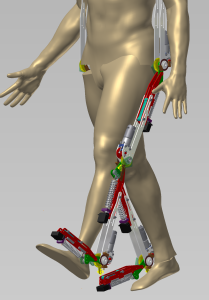 I am part of the cross-disciplinary SBO project MIRAD: an integrated Methodology to bring Intelligent Robotic Assistive Devices to the user, the goal of which is to build bilateral intelligent active lower-limb exoskeleton to assist persons suffering from functional weakness. My main role is in performing prediction to varying degrees: from the high-level intention of the user, to specific micro-events during different activities. For this, I’ve been mainly working with neural nets and Hidden Markov Models. 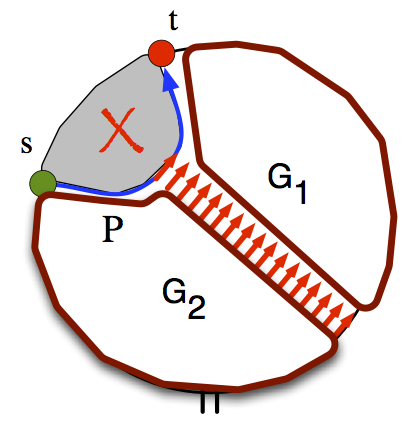 We have also been interested in probabilistic modeling of the motion trajectories, using Gaussian Processes. In Robotics and Automation Letters, IEEE, pp. 792-799, 2016. Illustration of the multiple-source multiple-sink graph partition induced by the flow between neighboring source and sink. Graphic from my talk at IWOCA-2013. During my Masters, I was working on graph theory research, specifically on problems of finding maximum flow in planar graphs. My focus was broadly to design algorithms that are practical, and whose analytic running times are meaningful. Worst-case analysis is often uninformative in practice, as some problems may never reach the extreme worst-case complexity, while others have large hidden constants, and will fare worse in practice than their asymptotic running times suggest. We are thus interested in adaptive analysis techniques, that are expressive in terms of the problem instance. With this motivation, we design practical max flow algorithms that only make use of simple data structures, and are easy to implement. In Proceedings of the International Workshop on Combinatorial Algorithms (IWOCA), pp. 67-80, 2013. Maximum st-Flow in Directed Planar Graphs via Shortest Paths. In Proceedings of the International Workshop on Combinatorial Algorithms (IWOCA), pp. 423-427, 2013. Illustration of the cutting operation of a planar graph to obtain its universal cover. Graphic from my poster at IWOCA-2013.